Poster thingy, originally uploaded by DragonDrop. I wish we had something like one of these in Harrogate. A site where bands / events etc. could freely and publically display listings and info. 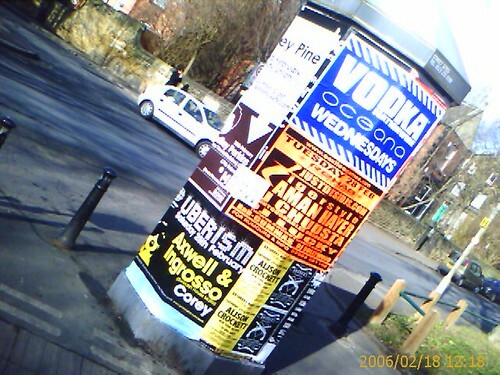 There are a few sites that have posters for council run (Harrogate International Centre) events but nothing is available for anyone else (or is there? Nothing I’m aware of) Hmm I think I’ll ping some emails off to the council and see what they say.